Hospitality companies are offered advice by Phoenix Reputation Management Firm Reputation Maxx for improving business and customer service techniques. Though customer service is often talked about, it is not always seen in action. When companies in the hospitality industry want to see 5-star reviews instead of scathing 1-star complaints, they must change their approach in several fields. Until companies return to a higher level of performance, they may never achieve the success that they long for. These days, it is hard to find a company that is excelling in customer service and achieving this success, but one shining example of a brand that does always provide the ultimate experience is Fairmont Hotels. Walter Halicki is the CEO of Reputation Maxx, a leading firm in the timeshare and hospitality branding and marketing reputation industry. He is also an avid traveler and though he does not represent the Fairmont in any way professionally, Halicki has had a number of personal experiences as a guest, and has come to appreciate the superior customer service that they provide. Here, he discusses why this service is a benchmark of what all other hotels and resorts should hope to achieve. Halicki shares that it is this level of customer service and attention to detail that companies must endeavor for in upcoming years in a variety of areas. Millennials who are now starting to travel more have high expectations. The high end service that baby boomers have come to appreciate from luxury accommodations, Millennials anticipate in every hotel that they visit. When these expectations are not met, modern technology makes the response immediate. For example, keeping a guest waiting in line too long may result in a negative review before they have even checked in. Hotels need to understand this changing market and learn to meet its needs in every aspect of their business in order to see their results change. Changes for the Millennial market must also be made when it comes to marketing and branding, especially online. Occupancy is the bread and butter of a hotel and in this new digital age, companies must be able to market their brand online to get new guests and sustain themselves. In the past, these consumers were content to read longer pieces of promotional content and it was easy to engage new guests. These conditions have changed. Recent studies have shown that in digital advertising, an ad only has a seven second attraction window to engage with a potential customer. Once those seven seconds are up, the consumer will move on. To work with the changing consumer, hotels must change their strategies. They must be creative with their content, finding brief and engaging ways to present their call to action and draw the customer in quickly. Utilizing eye catching images is one of the many techniques that businesses are using to increase their engagement, as they are able to draw the attention of a consumer quickly and efficiently. Changing digital marketing strategies to incorporate tricks like these is essential and should be used on any platform where a company is trying to engage with potential, current, or past guests, such as social sites and forums. Along with these improved marketing techniques, hotels and resorts must also improve their approach to customer service so that once they have engaged the customer they can keep them. Staff must be trained properly and need to share the same commitment to the customer that the company as a whole does. Hotels should also consider hiring and training individuals to be Guest Experience Managers (GEMs). This specialty position is one that is completely dedicated to creating and maintaining the model customer experience. These GEMs must take time to travel through the property, greet guests, offer their assistance, and make it clear that they are available to the customer at all times. They must also ensure that other employees are meeting the high standards that the hotel or resort sets. With a GEM, even a 3-star hotel can offer its guests 5-star service. When a customer is shown this level of care, they will be happy to take the time to leave praising reviews and share their positive experiences. This is the kind of service that the Fairmont Hotels provide, and why Fairmont manages the most luxurious and sought after hotels in the industry, including the Savoy in London and the Plaza in New York City. Hotels and resorts who want to see their brand excel this year should use this quality as an example and begin making changes so that they too may reach the gold standard. Halicki would like to thank the Fairmont team for being so dedicated and give special recognition to two excellent member of the Fairmont family, Robert Eyers of the Fairmont Sonoma and Josephine Pallera at the Fairmont Newport Beach, who have personally made Halicki’s experiences exceptional. Reputation Maxx is a Phoenix based reputation management and branding firm. For six years it has maintained an A accreditation with the BBB and has received 0 complaints. They are experts in digital marketing and management and have been helping individuals and companies alike clean up their reputation and make their brand stand out online. Reputation Maxx’s Chairman of the Board is marketing expert Rowland Hanson, who has worked as the Vice President of Corporate Communications for Microsoft where he was personally responsible for the brand Windows. Reputation Maxx works closely with its clients to make the perfect plan to fit each individual’s needs, and will work tirelessly to provide exceptional results. 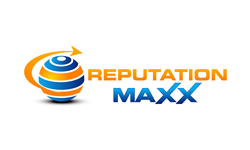 For more information on the reputation management services that Reputation Maxx provides, visit https://reputationmaxx.com.